I think I’m obsessed. 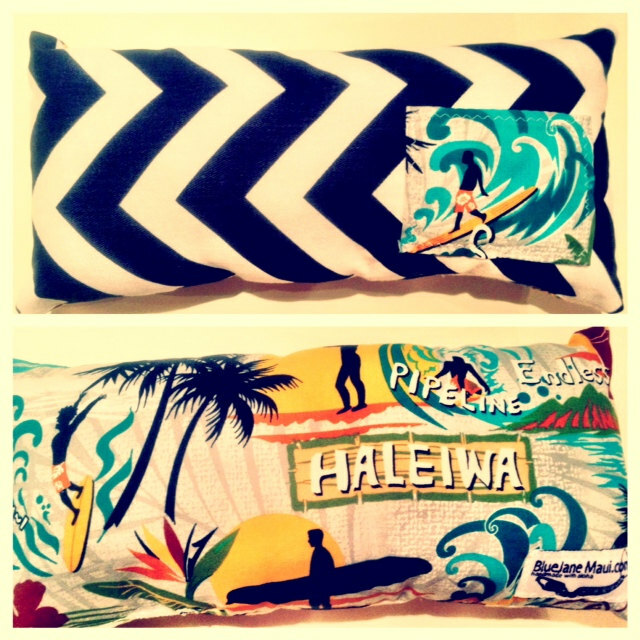 I came across BlueJaneMaui on Facebook around the same time that I was helping out my friends with their new shop Hue and I remember thinking that the BlueJaneMaui pillows would be a perfect addition to their store. I have no idea at this point if I mentioned it to either one, but somehow it all worked out, and here we are a few months later, I go to a special event at Hue and end up meeting Dana of BlueJaneMaui! 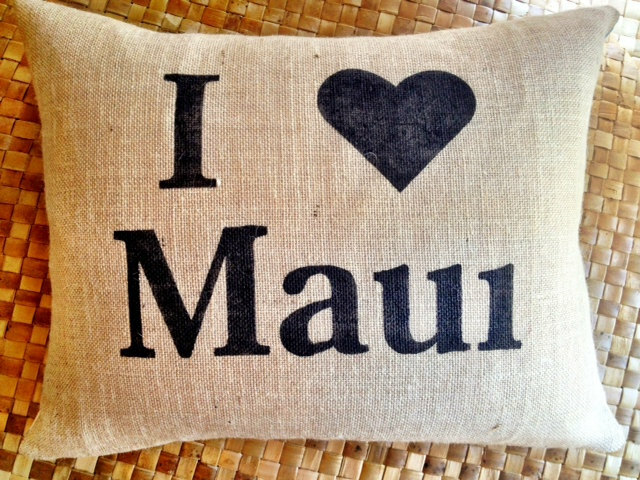 Dana makes gorgeous, designer pillows here on Maui, and if you’ve read any home decor magazines or seen any design shows recently, you know how popular pillows are right now. 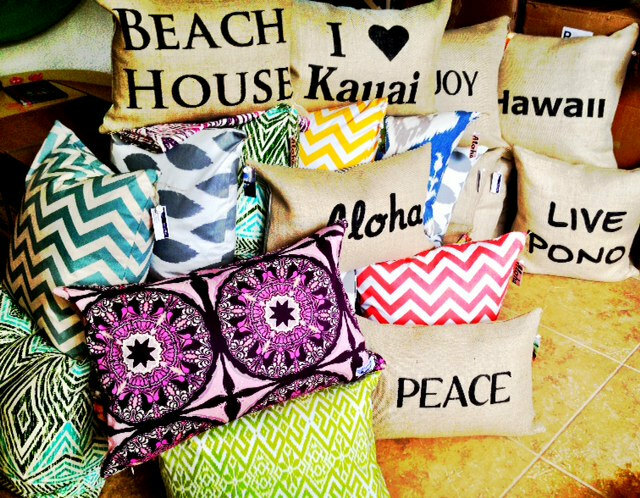 These aren’t your standard throw pillows though, Dana has chevron prints, tropicals, ombres, and handpainted burlap with any word or saying that you may deem appropriate for your pillow. No matter your color scheme, decor or style, you will find a pillow cover that will work for you, and each cover is professionally sewn with surged seams and double stitched for durability. 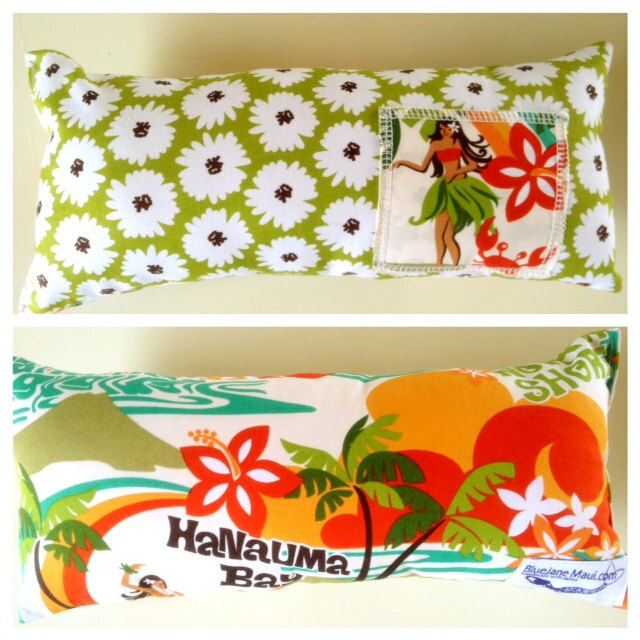 Dana has also introduced a new line of tooth pillows, with which I am totally obsessed. I instantly bought two (one for each kid) and now that she’s coming out with even more designs, I’m contemplating having more kids so I can buy more pillows. Just kidding. Maybe each tooth will get its own pillow. When I met Dana she hinted at the creation of new home decor items, so we’ll keep you posted here on this blog! 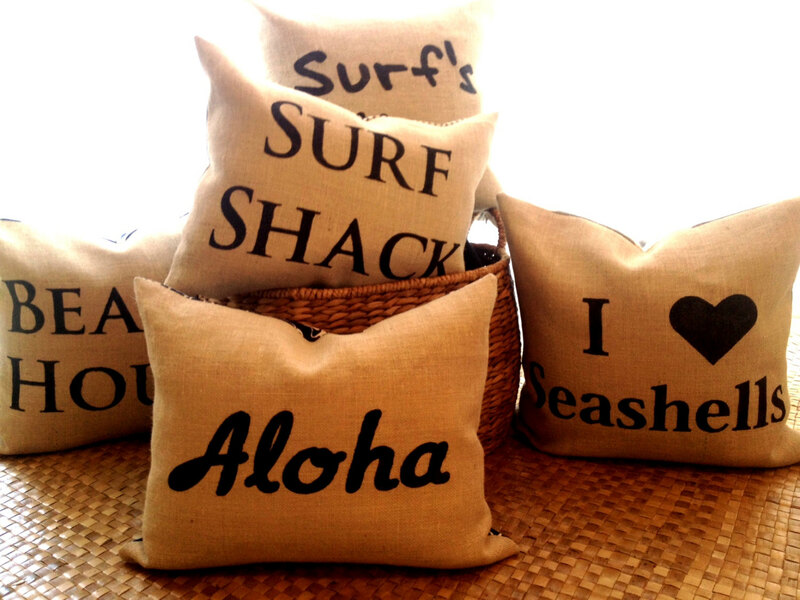 Have fun picking out your new pillows!